The Hayward fabric is of the highest quality cotton, flax mix. Working with a British mill, whose craftsmen have been weaving textiles in the UK since 1720. The decision to express the design as a woven fabric lay in the process. 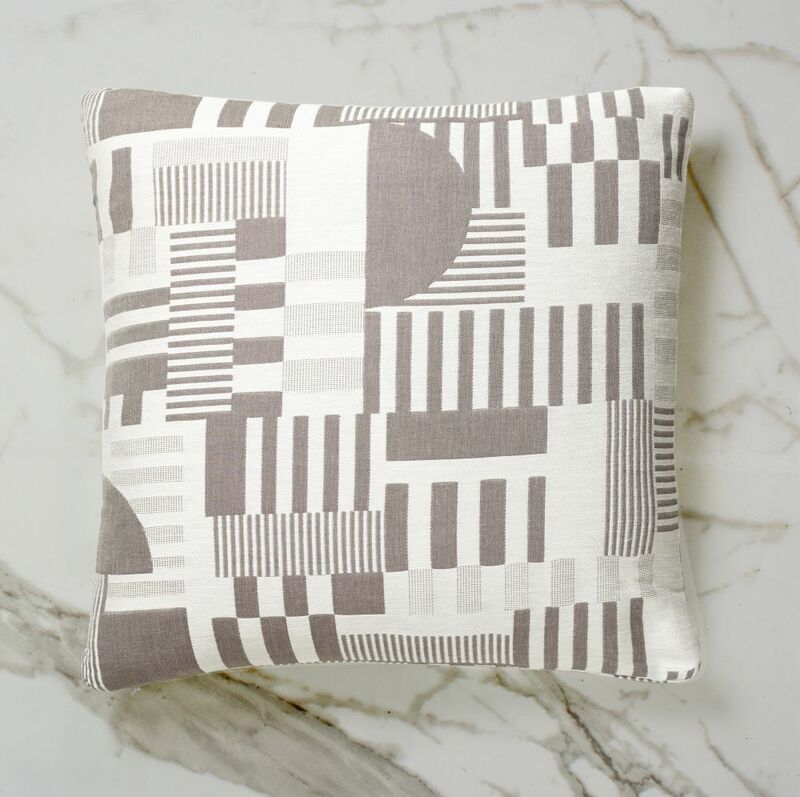 As Brutalist buildings were designed with strong geometric forms, it seemed apt that the designs should be created in a similar way, using the warp and weft to form pattern through a grid system; the contemporary digital pattern given depth, while retaining its precision, using a traditional process. All cushions have are filled with UK made fine duck inners.